Students matter at Black Hills State University! You are discovering what many others have already discovered, that BHSU is an amazing place located in a beautiful area that is unmatched throughout the region. You are also discovering that BHSU has a faculty that is genuinely interested in you – the student. BHSU innovates. BHSU inspires. 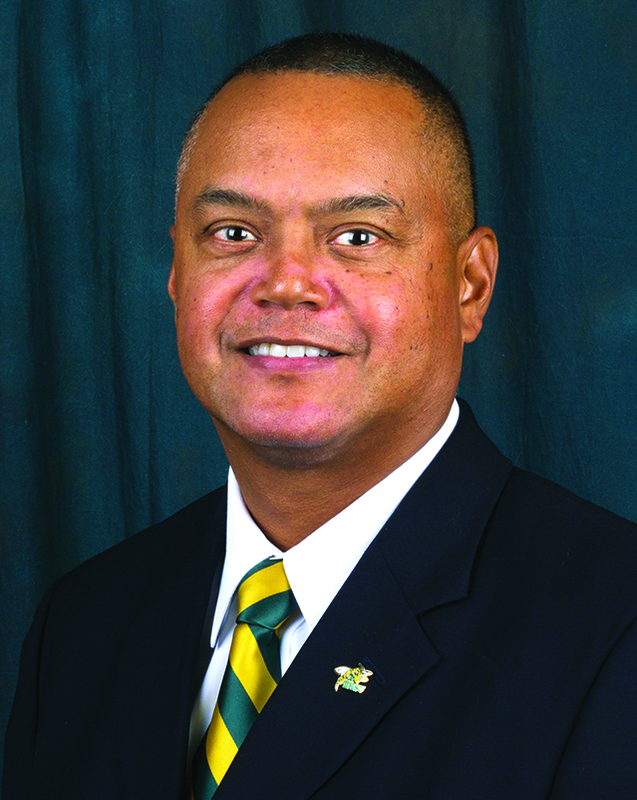 BHSU engages. BHSU leads. The University has a wide variety of innovative academic programs and an invigorating and engaging learning community. BHSU provides a challenging environment conductive to your growth and education. This environment challenges you to become an educated leader of our global community through your involvement on campus, your engagement within your courses, and your commitment to leading throughout the world. This is the B-H experience and what it means to be part of the Yellow Jacket family. Since its founding in 1883, BHSU has provided an amazing education to the students of the region. Whether you are a recent high school graduate, a transfer student, someone seeking a certificate or graduate degree, a veteran/service member, an international student, or an adult learner, your success at BHSU is important and this undergraduate catalog provides you much of the information about your courses and what it means to be at this University. Welcome to BHSU. Go Jackets! A majority of the University’s academic programs and offices are housed in Jonas Hall, Woodburn Hall, Meier Hall, the Young Center, and the Life Sciences Laboratory. The E.Y. Berry Library-Learning Center contains a multitude of learning resources. Meier Hall includes a mangificent 280-seat recital hall as well as the choir and band rooms. Construction was just completed on the Joy (Proctor) Krautschun Alumni-Foundation Welcome Center. Construction is underway on Crow Peak Residence Hall which will connect two of the five existing residence halls and create a new residence hall complex - The Peaks. The recently remodeled David B. Miller Yellow Jacket Student Union serves the social and recreational needs of the students and was the first building in the state to become Leadership in Energy and Environmental Design (LEED) certified. The Donald E. Young Sports and Fitness Center provides exceptional fitness facilities and an aquatics center, as well as classrooms and faculty offices. BHSU is the lead institution at the University Center-Rapid City, which offers increased educational opportunities in the state’s second-largest city. Our academic programs are delivered through three colleges: the College of Liberal Arts, the College of Business and Natural Sciences, and the College of Education and Behavioral Sciences. BHSU is accredited through: The Higher Learning Commission (https://www.ncahlc.org/) and a member of the North Central Association of Colleges and Secondary Schools (30th North LaSalle Street, Suite 2400, Chicago IL 60602-2504, 800-621-7440); The Association to Advance Collegiate Schools of Business (777 South Harbour Island Boulevard, Suite 750, Tampa, FL 33602, 813-769-6500); The National Council for the Accreditation of Teacher Education (2010 Massachusetts Ave. NW, Suite 500, Washington DC 20036 - 202-466-7496) and approved by the South Dakota Department of Education (700 Governors Drive, Pierre, SD 57501-2291, 605-773-52650; and the National Association of Schools of Music (11250 Roger Bacon Drive, Suite 21, Reston VA 20190, 703-437-0700). BHSU’s Physical Education program is nationally recognized by the National Association for Sport and Physical Education (1900 Association Drive, Reston, VA 20191, 800-213-7193).